The newly created car park in Victoria Road, Retford operated by Marriott’s has achieved both the coveted Park Mark, Safer Parking Award and the Disabled Parking Accreditation. 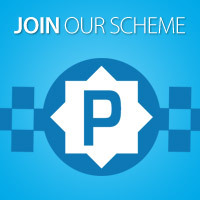 The Safer Parking Scheme is an initiative of the Police Crime Prevention Initiatives and is aimed at reducing crime and the fear of crime in parking areas. 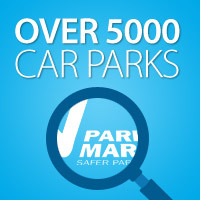 A Park Mark is given to parking facilities that have achieved the requirements of a risk assessment conducted by the police and the British Parking Association. Peter Gravells, British Parking Association Area Manager, said: “I am delighted that this new car park has achieved the awards as it means the operator is delivering a safer environment for those using the car park. There is a designated Disabled Parking Accreditation website where disabled people can search for a car park, www.dpaccreditation.org.uk. To qualify, car parks must have accessible bays that meet British standards, which are at least 2.4 metres by 4.8 metres with a 1.2 metre safety or transition zone marked with cross patterned stripes along one side of the bay. Signage must give clear information and instructions for the use of a building and there should be level access between pedestrian entrances/exits and parking bays. Lifts or ramps must be provided where levels are not even. Lighting, payment machines and alternative payment methods also form part of the criteria as well as concessions where appropriate to allow disabled people additional time.